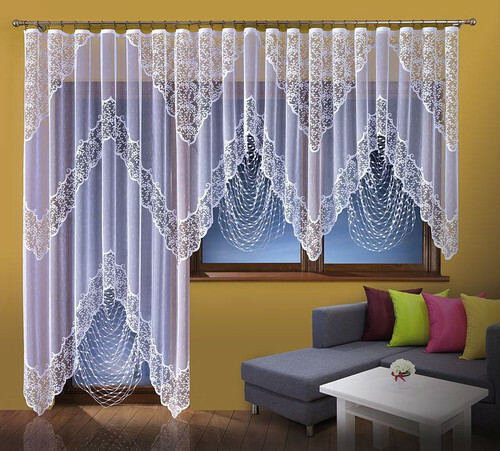 Ready made white, jacquard string curtain. 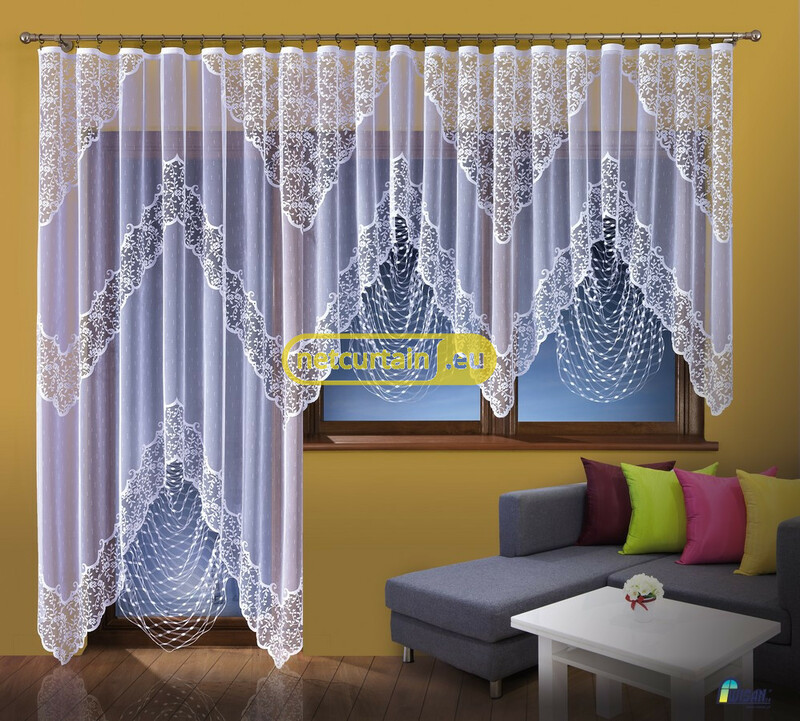 Possibility of buying each element separately or a full set. 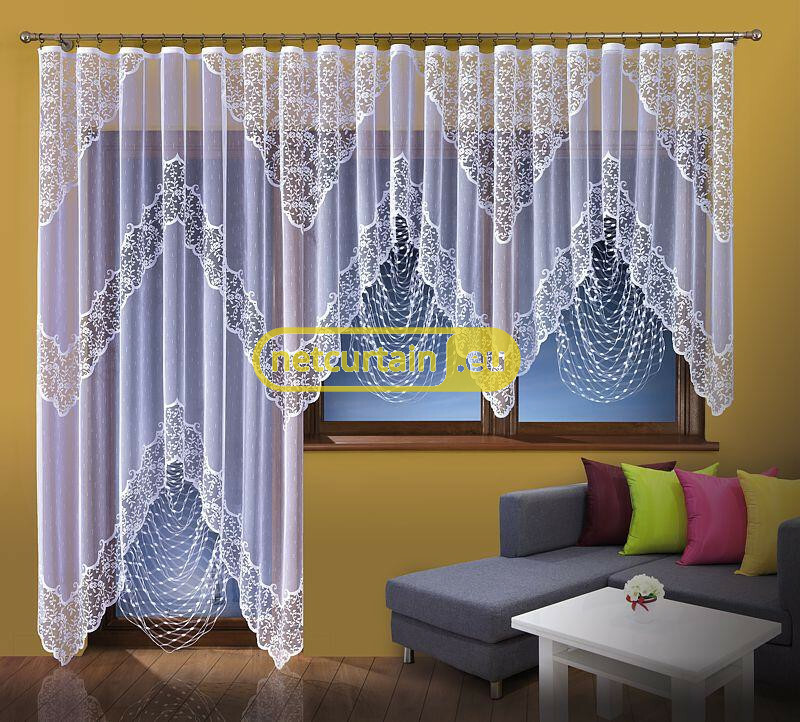 Can be hung with curtain clips and suits for the curtain rod of width 270- 400 cm. 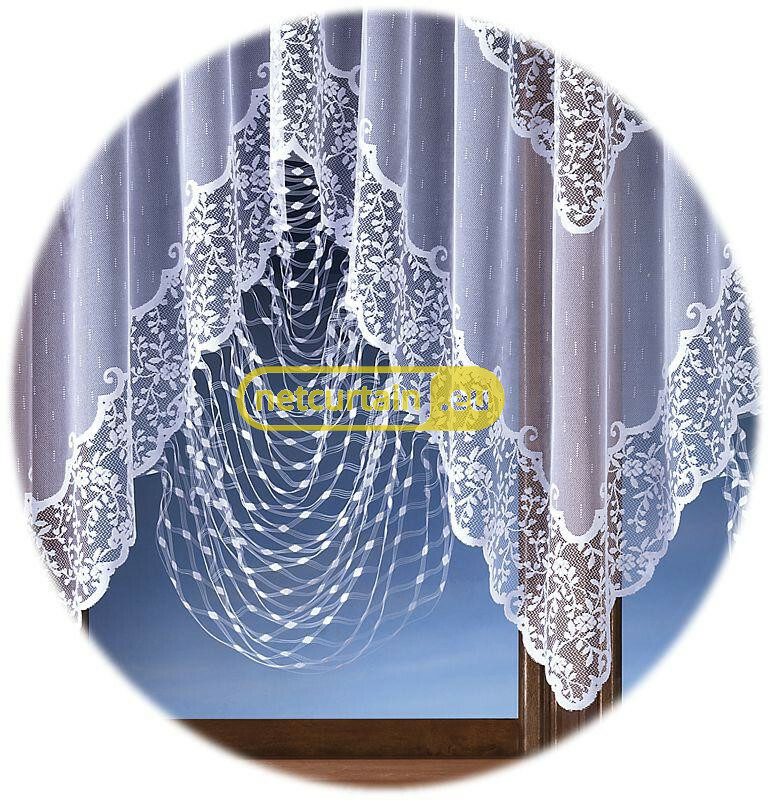 Shorter curtain looks best when gathered to 1,75 - 2,50 m.
Longer curtain looks best when gathered to 1,00 - 1,5 m.